In order to secure an area from RF signals used to detonate RCIED weapons, the Stationary RF Jammer was designed. 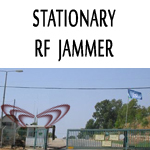 Users of RF Jamming now incorporate the Stationary Jammer to defeat RCIED threats as well as conduct communication jamming of unauthorized communications. 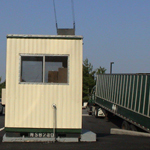 RF Jamming systems can manage RCIED threats at government building locations, border crossing checkpoint and control areas, guard tower emplacements, and public gathering areas. 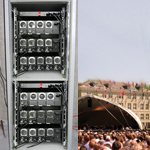 Our Stadium Jammer is one of several customized jamming systems for security at public and private events. While some RF Jamming systems are used to counter terrorist bombs, other variations create radio jamming signals for buildings. This type of communication jamming is conducted at high level government facilities, military centers, as well as prison facilities in order to eliminate the abuse of radio and cellular communications. The Stationary RF Jammer conducts RF jamming to stifle radio communications in and around a perimiter, and our Stationary Jammer can also be used for communication jamming inside of a building. A Stadium Jammer is made of several RF jamming systems to defend an outdoor arena from attack by remote controlled weapons.